This valuable guide offers detailed, practical advice to decision-makers in companies and businesses interested in market conditions in France, as well as to lawyers advising on the rules which affect insolvency and corporate rescue procedures in France. The book also includes comprehensive tables of statutory materials and case law, as well as appendices giving details on legislation, timetables and procedural formalities. 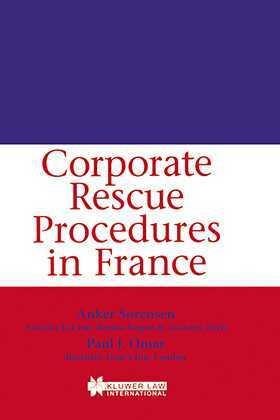 `The book will be positively welcomed by practitioners as well as any businesses or persons whose activities in France require a good practical knowledge of the rules applicable to insolvency. ' --Jean-Pierre Mattei, President of the Commercial Court of Paris.